Everyone knows how delivering valuable service is crucial for any business. But clients often don’t understand the value of the service they are being provided. If you are an international education agency, you know what I mean. Starting an education agent may be an easy-in business, but keeping up with the growing competition is becoming impossible. There are simply too many players nowadays, and in order for you to become successful, international education agency has to deliver excellent service to clients. As an international education agency, listening to your clients is always important. Whether it is feedback for your services or when they express their desires. Your ability to retain such information determines the quality of your service. This may not seem as apparent, but an international education agency tends to make up his/her mind once a client provides their profile. Most agents will have pre-decided the city and even the university that they think is appropriate for the client. This is a bad practice. Yes, it is true that your experience allows you to determine what might be best for their client. However, actually listening to the clients is a rare virtue any international education agency must develop. Thus, listen to the client. But, in order to deliver excellent service to clients, international education agency should never force their decision on them. It is highly unappealing. Students, more often than not, tend to go abroad to experience the lifestyle of that place, education is secondary. Very few actually seek quality education and not the lifestyle. Also, keep in mind that not everyone who travels is looking for a PR or a Green Card. As an international education agency, you must listen to a client and learn to identify what their desires are. Student Agency must open with them. Communication is the key to a client-agent relationship. International education agency needs to understand their purpose and help them achieve it. Your clients will most definitely appreciate your service even more. Smallest details tend to matter the most for an international education agency. Hence, an international education agency must always strive to identify their clients with their names and faces. If you can do this, believe me, your clients will be impressed. Memorize important things like their preferred country and courses, to the smallest details you discussed in your last meeting. Keep plenty of notes and before any appointment, give it a thorough read. Always prepare yourself beforehand. It will be easier for an international education agency to create a personalized environment, and your clients will open up like never before. Getting them to talk is the best thing that can happen to any education agent. If an international education agency is not good with handwritten notes, it’s better to keep them organized digitally. Computerized note-taking practice is very efficient due to its ease of accessibility. Agency management platforms provide easy-to-use note keeping tools. These notes are attached to respective their clients’ or partners’ profile, making them available anytime. Using a digital agency management platform will help an international education agency deliver excellent service to clients. As an education agent, you can use an education and migration CRM software. Managing client expectation is very important for an education agent. Especially since clients generally tend to either overestimate or underestimate themselves. As an education agent, you must learn to recognize your client’s capabilities and provide service to clients accordingly. Once you’ve got this right, an education agent will have a much better success rate. Also, your clients will appreciate you for the effort. Education agent needs to be honest with their clients. If something is not achievable, you should let them know immediately. However, there are different approaches you can take so that your clients are not offended by your proposition. First of all, an education agent needs to understand why their client has chosen a particular destination. If an education agent knows for certain that it is not achievable, never criticize the client. For example, an education agent usually tends to criticize a client’s portfolio making them feel inadequate. Never tell them that they are not capable enough for their choice of destination. Rather, criticize the idea. Tell them that the idea of that destination is not appropriate for the client. Follow up with a suggestion that suits the client better. And always do it in a non-authoritative manner by making requests rather than demands. Your clients need to know that they are in control of the destination rather than their education agent. This is probably the oldest trick in the book. But it works every time! Education agent must have noticed that clients are generally impatient. They tend to think that they are the only clients you have. Hence, they are easily disappointed if you don’t meet their expectations. This is why you should never declare if something is easily achievable. Therefore, under-promise and over deliver. Better yet, never fully assure them of anything and always say that you will try to do your best. Also, ask for longer deadlines than you need. So that when you meet your deadline earlier than expected, they will think that you have put in extra effort. Keeping your clients satisfied should be at the top of any agent’s priority no matter how you do it. I don’t mean to sound like a broken record, but constant communication is fundamental. Never stop communicating with your clients and make sure that they keep communicating with you too. It is through this stream of constant communication; international education agency will be able to understand exactly what they expect from them. Listening to feedback is crucial as an education agent if you want to deliver excellent service to clients. And don’t just blurt out ideas, plan an education and career path for your client. Talk to them about the possibilities, giving them the full scope of what is achievable and what isn’t. Let them clearly know your intentions and understand what they intend for themselves. This will at least help an education agent set a middle ground making it easier for you to set appropriate goals for your clients. Nobody likes stepping into a messy office. Therefore, how you manage your agency’s data and moreover, how you manage your clients’ information says a lot about an international education agency. Proper data management and organization helps build trust between you and your clients. It also makes an education agent seem much more professional. It is important to exhibit that your clients’ private information is as valuable to you, as it is to them. Here are a few suggestions that can help you smoothly manage data. 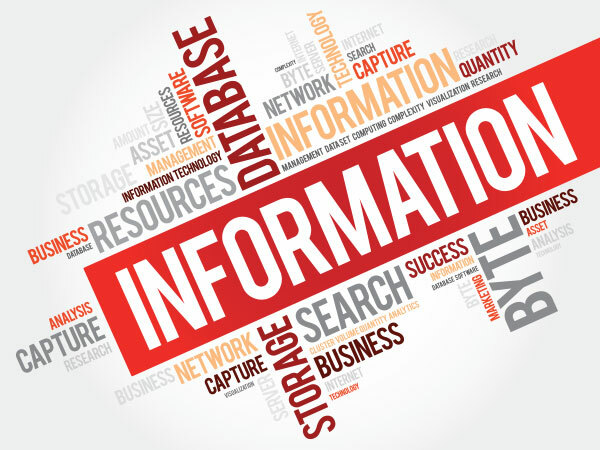 Managing your agency’s data (i.e., partners’ and visa information) is crucial. Presented the opportunity, international education agency must be able to instantly provide this information to your leads and clients. Hence, an education agent must keep it well-organized and easily accessible. However, as your agency grows, so does your database. Managing paperwork becomes exceedingly tedious. Education agency must expand their horizons and look for solutions early on itself. 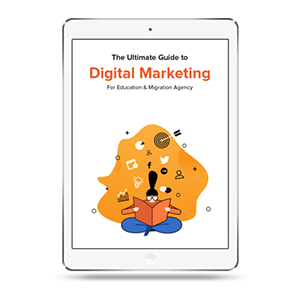 Taking your agency digital is the most prominent solution. Don’t just rely on papers and physical copy of your data. It’s always in your best interest to have multiple back-ups. Besides, computerized data is always available at your fingertips. An education agent can even use MS Excel or Google Sheets in the beginning. But you will require, and agency management platform as your business grows. Using an agency management software will help you deliver excellent service to clients. First and foremost, I want to begin by stating that your clients’ private information is their own. This data does not belong to your agency. So giving out such information to any third party is not only unethical but can be punishable by law. Hence, it is only normal for clients to get sensitive about their personal information. If it happens, don’t take it personally. This is also the primary reason why you should always protect clients’ data with utmost responsibility. Always maintain privacy and discretion if you wish to deliver excellent service to clients. 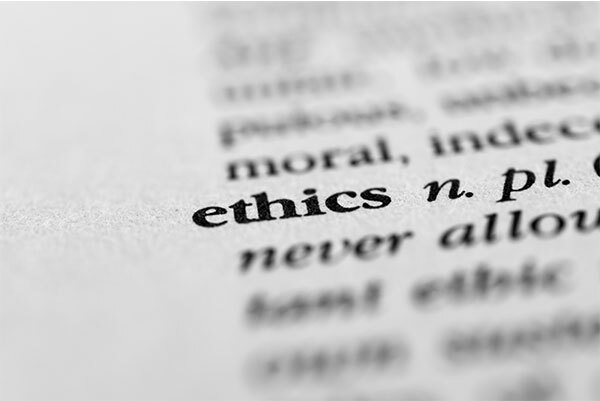 Now, here’s a topic no one seems to be interested in discussing – ethics in the agency business. Any international education agency would understand that this is a sensitive topic and avoid it whenever possible. 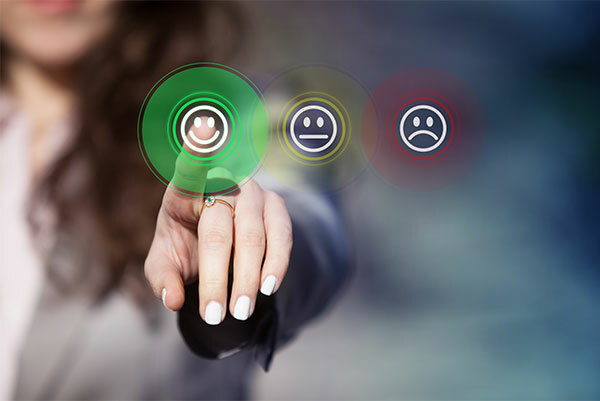 But, for you to deliver excellent service to clients, we’ll discuss some ethical dilemmas you may face, that most agents struggle to deal with. You know exactly what I’m talking about here. Of course, some partners pay agents more than the others. However, providing counsel solely on the basis of such selfish decisions will not get agencies very far. Yes, sometimes doing these things seem necessary to keep up with your competition, but you must avoid it as much as possible. Your intentions with your clients should be clean and transparent. Engaging in such activity is very short-sighted. If an education agency truly wants to deliver excellent service to clients, sell them what they came to buy. As agency competition stiffens, rival agencies tend to practice The Discount Game, in order to get ahead. It’s exactly what it sounds like, agencies giving off discounts to clients that they cannot afford. This is also partly a clients’ fault since all they seem to care about is ‘discount’. But, just keep yourself in their shoes. Wouldn’t any international education agency be excited? It’s just human nature. However, providing a low-cost service shouldn’t be your only target and marketing strategy. Such practices tend to automatically affect your performance at work. You will start feeling discouraged to maximize your service effort. If an education agency has done their homework and worked hard, the commission you have earned is yours. You deserve it! Making sacrifices every once in a while is understandable, but engaging yourself in this vicious cycle can destabilize your agency’s financials. Besides, if you provide your clients with genuine service, they will happily pay. There is no single or guaranteed method for any international education agency to deliver excellent service to clients. But these practices will definitely get an education agent on the right track. All you need to remember is that you should always provide a personalized service and make your clients feel special. Let them know that they are the center of your universe and will do anything to provide what they want. By the end of your client’s buyer journey, you should have established a healthy friendship with them. Well, that’s all for now, but please let us know what you think. Also, if we have missed mentioning anything we are open to suggestions. Have a good day!